The American Civil War was fought from April 12, 1861 to May 9, 1865 between the Union forces and the 11 Southern states that seceded from the Union and formed the Confederate States of America. Ultimately won by the Union forces, it remains the deadliest battle for the country with estimated deaths between 600,000 and 800,000. The Civil War is one of the most important events in the history of the United States. It had many important repercussions which went on to have a deep and long lasting impact on the nation. 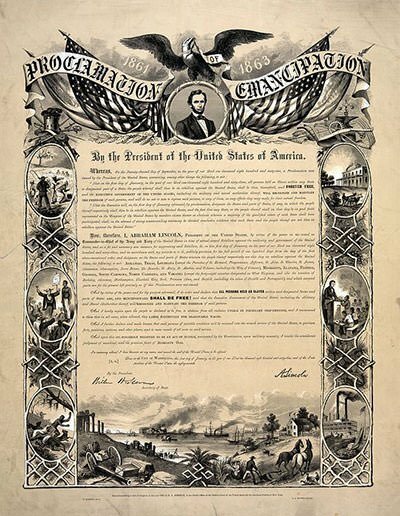 Among these were the Emancipation Proclamation; the Assassination of President Lincoln; the Reconstruction of Southern America; and the Jim Crow Laws. Know more about the impact of the American Civil War through its 10 major effects on the North and the South, on slavery, on politics, on economy and on society. On April 17, 1861, the Richmond convention of Virginia voted on the Ordinance of Secession to secede from the Union. But many delegates hailing from the western counties of Virginia were opposed to the idea. Almost immediately after the adoption of the ordinance, a meeting of such delegates look place at Clarksburg recommending that each county in north western Virginia send delegates to a convention to meet in Wheeling. This led to three conventions at Wheeling in May, June and July of 1861 and formation of the “Restored Government of Virginia” which gave legitimacy to the formation of one state within another. This meant that there was a point when there were two governments claiming to represent all of Virginia, one owing allegiance to the United States and one to the Confederacy. The politics continued for the next few months. 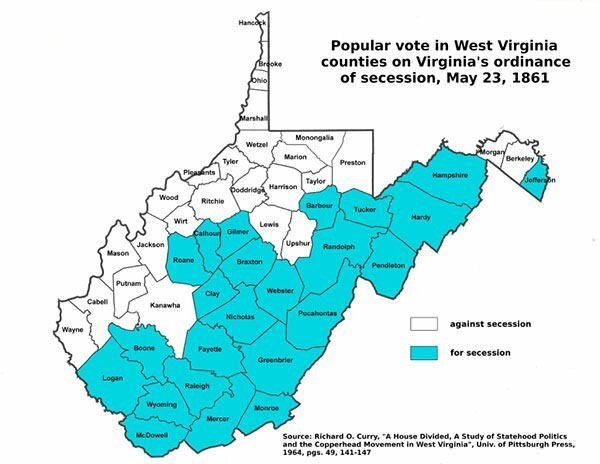 Finally President Lincoln approved the formation of West Virginia in 1862 which officially became a state on June 20, 1863, the only state to form by seceding from a Confederate state. Counties in Virginia For and Against Secession from the U.S. In the five years immediately following the Civil War the United States constitution adopted the 13th, 14th and the 15th Constitutional amendments between 1865 and 1870. 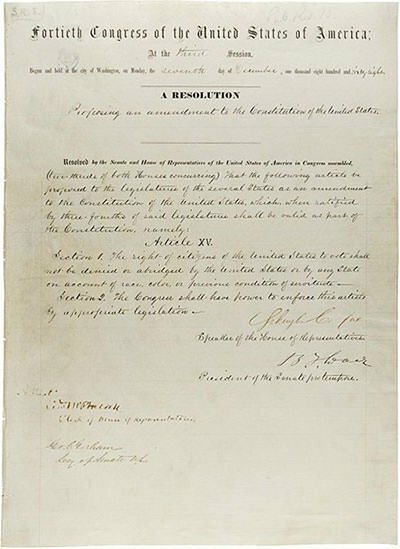 These amendments were added more than 60 years after the 12th amendment of 1804 and primarily dealt with the issue of African Americans, people of color and slavery. The amendments are also called the Reconstruction Amendments as they were important in the reconstruction of Southern America after the Civil War. After the surrender of Robert E Lee to Ulysses Grant at Appomattox Court on 9th April, 1865, the Civil War was at its dusk. John Wilkes Booth was a native of Maryland who had remained in the North during the Civil War. He was a prominent stage actor and Confederate sympathizer who viewed Abraham Lincoln as a tyrant. With his initial plan of abducting Abraham Lincoln failing on 20th March 1865 and Confederate General Lee surrendering a few weeks later, Booth become desperate. Learning that Lincoln was to attend Laura Keene’s acclaimed performance of “Our American Cousin” at Ford’s Theatre in Washington, D.C. he hatched a sinister plan to kill three prominent Union leaders and throw the government into disarray. 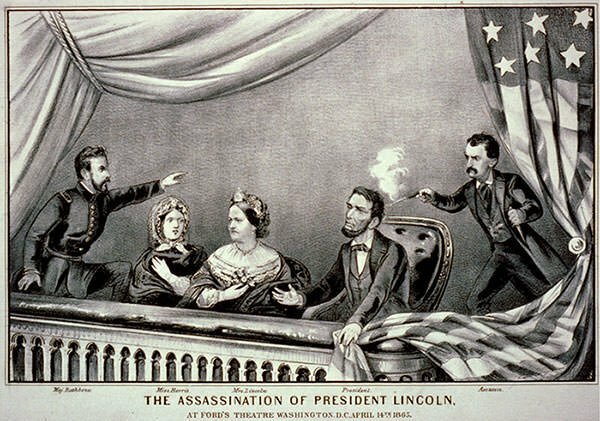 At 10:15 pm on the 14th of April 1985, John Wilkes Booth slipped into the box where Lincoln was seated and fired his .44-caliber single-shot derringer pistol into the back of Lincoln’s head. He then escaped after jumping on the stage. The other acts of the plot failed as Lewis Powell failed to kill Secretary of State William H. Seward and George Atzerodt failed to attack Vice President Andrew Johnson. Unwilling to surrender, Booth was shot dead on 26th April. His co-conspirators were convicted for their part in the assassination and executed by hanging on July 7, 1865. After the end of the civil war there were many debates about how the former Confederate states would re-join the Union. In a way, there was an attempt at the transformation of the 11 Confederate States that had seceded from the Union. Abraham Lincoln had proposed lenient Reconstruction policies and, after his assassination, new president Andrew Jackson intended to follow the same principle. But the more radical Republicans and powerful anti-slavery groups were committed to equal rights for freed blacks and favored more stringent action. It was these groups that were majorly responsible for crafting the Reconstruction Acts. The first bill divided 10 rebel states into five military districts for governance and they were required to draft new constitutions that would be approved by the US Congress. Three more acts were passed in 1867-68 which were concerned about how the new constitutions would be created and passed at the state level. The Reconstruction Era refers to the period immediately following the American Civil War from 1865 (the end of the Confederacy) to 1877. The south was in disarray after the war and was still not part of the Union. Many bills and laws were passed during the reconstruction era with the aim of reintegrating the South into the Federal structure. The Republican Party gained in prominence and the period changed the southern society and culture in many ways. 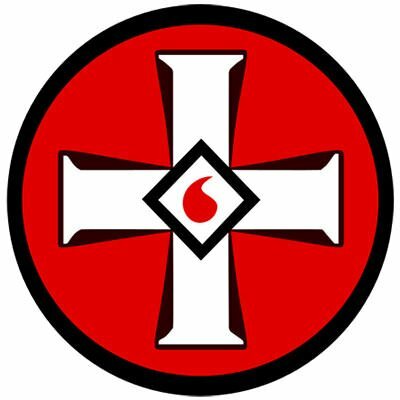 Among other things, there was a rise of violence and riots against the black communities and formation of many racist groups like the Red Shirts in Mississippi and the Carolinas, and the White League in Louisiana. Most of the violence was however carried out by members of the Ku Klux Klan (KKK), a secretive terrorist organization closely allied with the southern Democratic Party. The 1866 Election gave the Republicans majority in Congress and enabled them to pass the 14th Amendment, upgrading the rights of African Americans and curtailing the powers of ex-confederates. Civil war veteran and radical republican Ulysses S Grant was elected as President in 1868. He strengthened Washington’s legal capabilities to directly intervene to protect citizenship rights of African Americans and crushed any acts of violence against them. However, in the 1876 presidential election, Republican nominee Rutherford Hayes negotiated with southern political leaders to get elected. The federal troops returned in 1877 marking the end of the Reconstruction Era. In the coming years new racial systems would disenfranchise black voters and they would remain tied to low wage employment in agriculture and households. Thus Reconstruction is generally viewed as a failure. However, the seed of the Reconstruction Era would remain planted in the constitution bearing fruit over close to 100 years later in the Civil Rights Movement, sometimes also called the “Second Reconstruction”. The defeat of the South led to the breakdown of its economic, social and political situation as was known before the war. 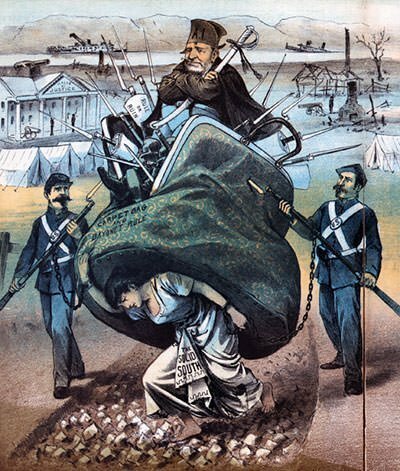 Most Confederate military and political leaders were temporarily prohibited from participating in the political process which led to the creation of a vacuum. This further led to the emergence of two groups that were called Scalawags and Carpetbaggers in a derogatory sense. Scalawags, which meant worthless livestock, referred to native white Southerners who supported the federal reconstruction plan and cooperated with the blacks. The majority of them were small non slave-holding farmers, merchants and other professionals who had remained loyal to the Union during the civil war. Although viewed as traitors in the South, the Scalawags made up close to 20 percent of the white electorate and wielded considerable influence especially after the civil war. The term Carpetbagger referred to a poor traveler who arrives with only a carpetbag and slowly fills up his bag by exploiting his surrounding conditions. The term was used to describe the white Northerners who, motivated by profit or idealism, moved to the south after the Civil War. Many carpetbaggers were from the educated middle class of various walks of life. They saw themselves as reformers and wanted to shape the post war South in the image of the North. Carpetbaggers were hated by the southerners as low-class and opportunistic newcomers seeking to get rich on their misfortune. After the end of the reconstruction period in 1877, as the white southerners began gaining power again, methods were developed to bypass the Reconstruction laws and subjugate the black people. The people who did this called themselves Redeemers. They aimed at taking away the civil rights of the blacks by twisting existing laws and bringing in new ones. The laws came to be known as Jim Crow Laws, named after a racist cartoon strip of a poor uneducated black man. The laws ranged from being inhuman like forcing black people to sit in the back of public buses to insane such as a requiring black people to “qualify” to vote by paying poll taxes, or, by reciting the entire Declaration of Independence or Constitution from memory or the one where official records of black births, marriages, and deaths could not be kept in the same books that contained records of white births, marriages, and deaths. 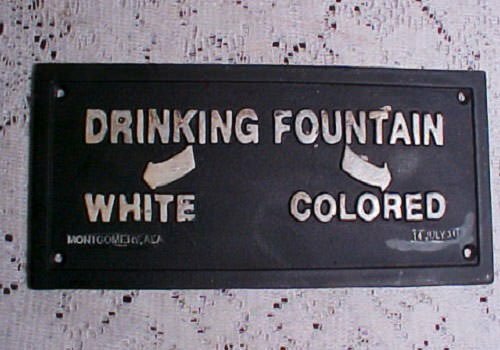 The Jim Crow Laws continued to be enforced until 1965, when they were ultimately overruled by the Civil Rights Act of 1964 and the Voting Rights Act of 1965. Before the Civil War the Southern economy was largely agricultural, dependent on cotton and other cash crops while the North was more industrialized. The political tensions between the two had led to years of policy paralysis. The North was forced to delay and compromise on their economic objectives due to strong Southern opposition and their political and economic clout. With the secession of the southern states the northerners began implementing their way of thought through various laws and acts such as the Morrill Tariff of 1861, which increased import tariff in the U.S. to foster rapid industrial growth; and the Transcontinental Railroad Acts, that provided federal subsidies in land and loans for the construction of a transcontinental railroad across the U.S. These measures, including many others, would provide impetus to the industrial growth of the United States. Industrialization, in turn, led to the creation of massive corporations and companies and the emergence of the entrepreneurs. Hello, I am seeking permission to use the graph on this site of “Military Deaths in American Wars” Are you the author of could you point me in the right direction? Hi Dennis, that graph is taken from https://www.battlefields.org. We have used it under fair use. You may consult them for further information. I hope that helps.